After receiving his PhD in Chemistry at the Scuola Normale Superiore in Pisa, he spent post doctoral positions in S. Petersburg, Uppsala and Eugene Oregon, USA. In 1970 moved to the Swiss Federal Institute of Technology in Zurich (ETH Zürich) where he made his professional career, becoming professor of Macromolecular Chemistry-Biopolymers in 1974. Here he developed his research on self-organized systems capable of self-reproduction, part of the field of the origin of life that he has pursued for all his professional life. In 2003 Luisi moved to Italy at the University of Rome Tre where he pursued his main question "what is life?" by developing programs of synthetic biology (the "never born proteins" and the "minimal cell"). Luisi (with Dr. B.W.) has initiated 1985 at the ETH Zürich the Cortona week and in addition to his over 400 science publications is author of a few books including novels. Chandana Chakrabarti is trained as a scientist, but is also a science communicator, writer, social activist, and an actor. She played a crucial role in the building of CCMB, an internationally renowned basic research laboratory of the CSIR in Hyderabad. She has co-authored two books titled, "The Saga of Indian Science since Independence: In a Nutshell" published by Universities Press, and "Angels, Devil and Science" published by National Book Trust, apart from writing regular columns in newspapers and magazines. As a social activist, she has been a part of several non-governmental organizations. She has also been the Convenor of The MARCH, a voluntary organisation based in Hyderabad, whose efforts have led to the setting up of a national system of accreditation of diagnostic laboratories to ensure quality and reliability, and also the national guidelines for regulation of infertility clinics. Known for her compering skills, she has anchored a wide variety of television and live programmes relating to industry, science, art and culture. She has been intimately involved with Children's Film Society of India in organizing the International Children's Film festivals in Hyderabad. She has acted in several Telugu feature films, some of which have been super-hits. She was associated with the National Knowledge Commission, Government of India and is now the Vice-Chairperson of FICCI Ladies Organization in Hyderabad, apart from being on various Committees and Boards of organizations. A connoisseur of art, her keen interest in art began with the setting up of an art gallery in the CCMB almost three decades ago. In 2008 she was elected as a Fellow of the prestigious World Academy of Art and Science. She is also a Member of the Third World Organisation of Women Scientists. Former Vice-Chairman, National Knowledge Commission. Gabriela Blatter studied Chemistry at ETH Zürich and Ecole normale supérieure in Paris, she graduated with a Master degree in 2007. During her presidency of the student body (VSETH) she completed her education with a MAS in Secondary and Higher Education in 2008. She joined the team of International Institutional Affairs in May 2009 after her internship with the Swiss Kalpavruksha Society in India. Gabriela Blatter coordinates the activities of ETH Zürich with India, works as a general project assistant of IIA and is the leader of the international knowledge base project. Convener of the Editorial Board of the WORLD AFFAIRS JOURNAL, New Delhi, India. 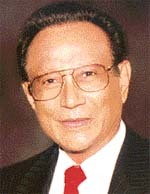 Co-inventor of the laser technology, physicist, author, lecturer, entrepreneur and philanthropist. One of the pioneers of the laser technology that made the corrective eye surgery LASIK possible, Mani Bhaumik received a Bachelor of Science degree from Scottish Church College and an M. Sc. from the University of Calcutta. He earned a Ph.D in Physics from the IIT (Indian Institute of Technology) at Kharagpur. Since many years he works as a academic researcher in California, USA. 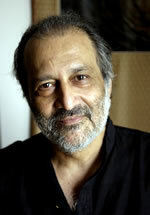 Ira Trivedi is the author of the two best-selling books "The Great Indian Love Story" (Penguin Books) and "What Would You Do to Save the World" (Penguin Books). 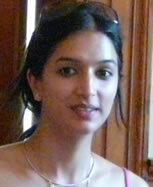 She has a MBA from Columbia Business School and a BA in Economics from Wellesley College. At present she is working on her third book, "The Intern" (Penguin Books). Ira currently lives in New Delhi. Interdisciplinarity and intercultural dialogue are at the core of Stella de Sabata's private, academic and professional interests. Stella is an active participant and has been involved in organizing Cortona weeks for over 10 years. She is both grateful and excited to contribute to Cortona-India. Webmaster and Cortona-India conference assistant in Italy. Simona Radice got her PhD at ETH-Lausanne (Switzerland) in Materials Science Engineering in 2009. She has been attending the Cortona Week and joining Cortona-related events since 2005. In 2009 she carried out the evaluation procedure for the ETH Zürich Cortona Week "Bridges over Troubled Waters", validating a new evaluation method.